Rotafix Cembond Grout is a high performance, non-shrink, non-gassing, thixotropic, cement based mortar, suitable for injection by hand or with a pumped power applicator. This fast setting mortar is ideal for beds in stone or brick walls, as Rotafix Cembond Grout has a low liquid to powder ratio providing a thixotropic(thick) mortar which completely fills all voids into which it is injected. The mortar will quickly develop its compressive strength making it ideal as a pointing mortar for example. Rotafix Cembond Grout is suitable for bonding metal components into most common masonry-type substrates making it ideal for masonry stitching using spiroties and helical profiles. 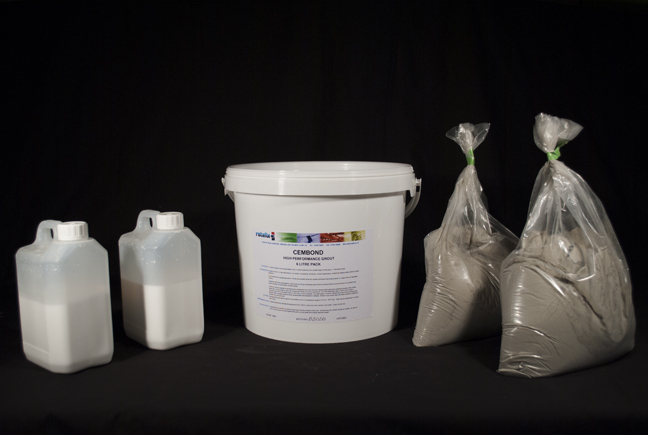 Cembond Grout can be used with stainless steel as well as high tensile and mild steels used in reinforcing concrete. To assist bonding the new mortar with existing masonry we encourage preparing the surface with Rotafix P12 primer to aid adhesion. 60cc of cembond material is required to encapsulate an 8mm bar or rod in a 12mm hole which is 1m long.